During LEM334 we had a pretty nice opening towards Perú between 0430-0600 UTC on November 13. The common peruvians such as Santa Rosa 1500v, Turbo Mix 1540.5 and Bethel 1570 were noted with huge signals. A very surprising log was Chami R, Otuzco, La Libertad completely alone on 1140 sharp. 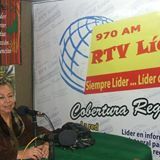 R Moderna, Lima was noted on 930 and last but not least of the files checked so far: Radio Líder in Cajamarca on 970, also this station alone on the frequency. The signal was relatively weak but clear. Thanks Henrik Klemetz for also verifying my hearing! 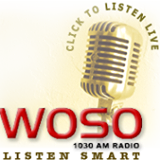 WOSO San Juan PR on 1030 has been a heavily hunted PR-station for several decades by Scandinavian listeners. On November 4, 2013 it was heard in Lemmenjoki with the TOH-id “This is WOSO Radio in San Juan” before CBS News at 0200 UTC. Otherwise carrying ESPN at least for a couple of hours when fading up and down on the frequency without a sign of WBZ on de 280 degree wire. Pekka Kostiainen heard WOSO in Kuopio one hour earlier and as far as I know this must be the first logging of WOSO in Finland. Gert Nilsson heard the station in Sweden in late October and Hannu Niilekselä again in Lemmenjoki in mid November, i.e., ca one week ago. Kurt Norlin in Skellefteå, Sweden appears to have the first QSL from WOSO in Scandinavia, dating back to 1991. A radpid confirmation of my report was received from WOSO via Facebook. My PR QSL #50. 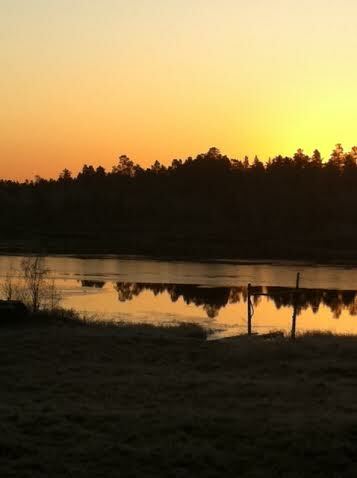 Lake Kuivajärvi, Lemmenjoki at 4 p.m. November 3, 2013. My absence from this site for a couple of weeks is due to the fact that I was spending 11 days in Lemmenjoki hunting for something new. Unfortunately the proton level remained above normal during the whole period which made loggings from North America almost impossible. The cx was constantly pushed down south to the southern parts of Brazil and some La Plata as well. The by far best usable antenna during this period was the 255 beverage. With the exception of a rather good opening towards the Caribbean and Orinoco on November 4 and a nice opening towards Perú on Novemebr 13 on the 280 degree beverage the 255 wire was in constant use recording more southerly stations. Some nice loggings from November 4 can be mentioned: the PR-stations WDNO 960, WOSO 1030 and WLRP. So far identified, for me new peruvians, from the 13.11 opening are Chami R, Otuzco 1140, R Líder Cajamarca 970 and R Moderna, Lima 930. For more detailed description of what happened during LEM333 and LEM334 look at http://www.tapiokalmi.net/~kn1460/dx/lem/.